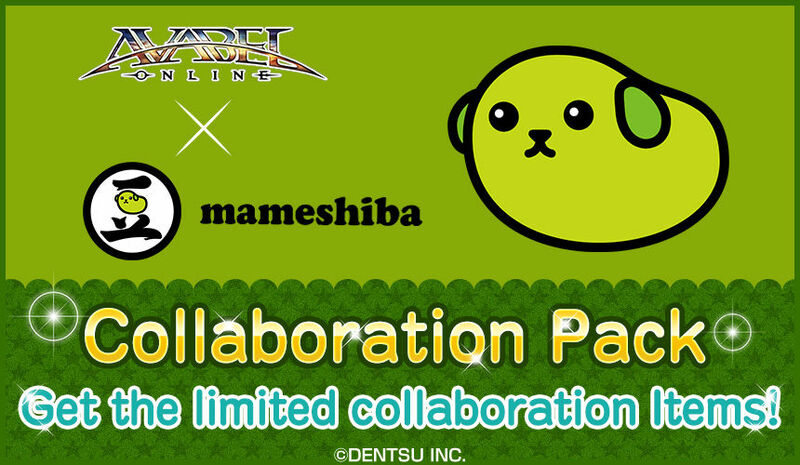 From 2/8/2019, the collaboration with "Mameshiba" starts! "Mameshiba Collaboration Pack" with Avatars, Pets, and Furniture made in motif of mysterious creature "Mameshiba" will be on sale. * You can manage the ''Pet''s settings at the Pet Breeder on each Base. * Furniture is directly sent to Furniture Storage in My Room (not your bag) when drawn from the Shop BOX. * Won furniture is shared among all characters in the account. * Please check the ''Items'' before you purchase.